This was the at-times mind-blowing math problem that you set us with your record-breaking participation in our fall vision casting work, as we listened to your stories of what being in beloved community as Foothills Unitarian Church has meant to you and how you hope we will grow in the years ahead. We asked you to have these conversations with us so that we could finish the work of growing into the church we are meant to be – one of the largest UU congregations in the nation, clear on our bold mission, guided by our unique shared values, and sharply focused on making a profound difference in the lives of our members and the larger community. For those who were not able to attend, here is an overview of that presentation and what happens next with this vision. These core values are meant to evoke the unique personality of this congregation and the timeless qualities that we want to embody in all that we do. Knowing clearly who we are and where we want to go will make us vastly more effective in all that we want to do for ourselves, each other, and the larger world. Joyful resilience – By this we wanted to capture both the good humor and wit that has long characterized Foothills, but also that we are able to move through the inevitable difficult experiences that life delivers us with humor and grace, staying connected in healthy relationship with each other. Collective courage – Our ability to do brave things together and inspire each other to individual acts of moral courage came through so often in the stories you shared about Foothills. Time and again, you said that our collective courage moved you to engage more deeply in this community. Deepening belonging – “Connection,” “community,” “share,” and “family” are all prominent in our values cloud. As part of our discernment, we sorted data into categories of within ourselves, among the congregation, and beyond into the larger world. More than half of the values words fell into the “among” category and spoke to the deep desire to be in beloved community with each other. We also felt that this spoke to the inner work of knowing and believing in our own worth and dignity that was often evoked in the “within” category. Transcendent wonder – This was the trickiest of the four to hammer out. We saw how prominent “awe” and “wonder” were in the values word cloud. But we also knew from the original stories being shared that it reflected more than just a moment of being wowed. There was a longing for a connection to something greater than ourselves that that showed up in our stories: a powerful experience in the natural world that caused us to drop our ordinary thoughts and become fully present in a transformative way; being awestruck by an outpouring of congregational support in the face of deep loss; feeling awed by what a committed faith community could accomplish in the world. With these four values, we feel we have captured the aspects of what makes Foothills unique as a congregation that are most important to us at this point in our congregational life. Once we had discerned our core values, our final job was to craft vision statements that showed how we planned to live into our bold mission statement (adopted in Oct. 2016) in the coming years. We worked to craft statements that were the least we needed to say about the most important dreams and goals of the congregation. They needed to set our course while giving the ministry and the congregation the flexibility and creativity to find the best ways to achieve these goals. 1) Foothills is at the center of the lives of its people, providing abundant opportunities for relationships across differences that provide joy, care, and belonging for all. There was so much yearning for authentic, joy-filled relationships, for strengthening inter-generational connections, and of wanting a deep sense of belonging. 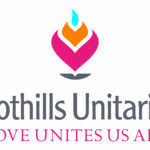 When we asked ourselves what impact that would have, we realized that Foothills would offer so much meaning and connection that it would indeed become central to the lives of its members and friends. 2) We are actively engaged in a process of lifelong spiritual deepening that allows us to live lives of meaning and purpose in a world that needs our Unitarian Universalism. This statement incorporates both the frequently expressed longing for more opportunities for deep spiritual and personal growth, and the desire for the messages of Unitarian Universalism to be more widely known in this time of increasing divisions and looming environmental crises. 3) We understand that being a part of Foothills requires us to give abundantly of our time, and this deepening involvement helps us to identify and grow our individual gifts. 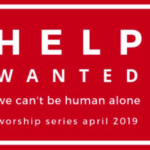 This arose out of the simple realization that to have the great impacts we dream of as a congregation, we need the efforts of many committed volunteers. It also speaks to a collective desire to be recognized for our unique gifts, and for help in discerning those we have yet to find in ourselves. In committing to our congregation in this deep way, we can also grow ourselves in profound ways. 4) We each give generously and gratefully of our financial resources in ways that foster a deep ownership of the impactful work we support. What began as “we generously support our church financially” became so much more meaningful when we considered how giving generously would impact us as individuals. We realized that we would feel more abundance in our individual lives, and we’d feel a deep pride of ownership of all of the good work that Foothills does. 5) We recognize and dismantle prejudice and oppression in all their forms including within ourselves, allowing us to be more effective and trusted partners to marginalized communities in Northern Colorado and beyond. So very many of our wishes related to eliminating homelessness and hunger, expanding mental health services, becoming the recognized leader in social justice work in Northern Colorado, and expanding our partnerships with marginalized communities and other faith traditions. In setting this as a visionary goal, however we realized that we already *are* a recognized leader with our expanded ministries and social justice outreach in recent years. That led us to a bolder goal of learning how to be be wise, empowering, respectful partners in this work and learning to see our own biases and privilege clearly. This also brought in frequently mentioned wishes that we bridge differences, reduce polarization, and get better at talking and listening to people with different viewpoints and different cultures. 6) Foothills is the leader in Northern Colorado in developing sustainable, innovative, intersectional approaches to caring for our earth and its people to ensure a greater flourishing of all life. …Modeling and supporting sustainable practices, climate change activism, and other environmental leadership roles were also prominent in the data. All of these environmental problems are interconnected with social issues that we also want to help solve. We felt that this congregation and its ministers were up to the challenge of pursuing innovative solutions that recognize the complexities inherent in our natural, cultural, and social systems. 7) We do the work to make Unitarian Universalism accessible to all in Northern Colorado. Throughout the process of developing these vision statements, the need for more space for our congregation has never been far from our minds, and to accomplish these 7 goals we will need a larger building with more space. Because these vision statements guide us for five to seven years, and because we hope to complete our building expansion in the next two to three years, we wanted a vision statement that would incorporate the new building but be more expansive. A number of people envisioned Foothills expanding its reach beyond these walls, leveraging technology to grow our congregation online and in other innovative ways. 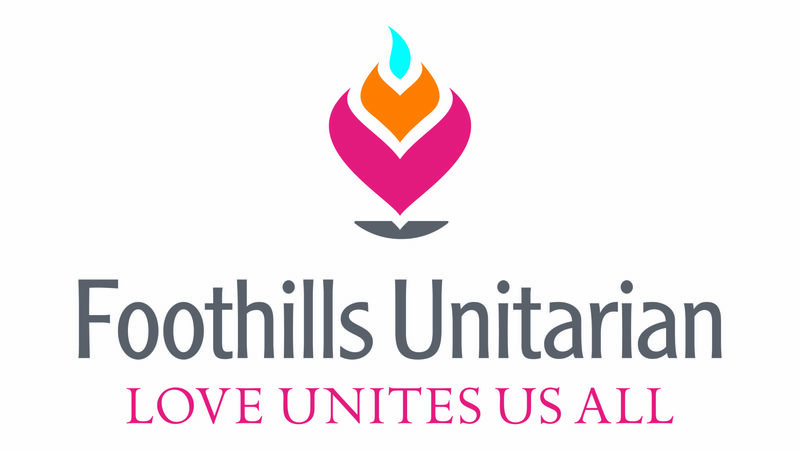 We heard the yearning for a spacious new building, but also the desire to better serve communities across Northern Colorado, and to spread the message of Unitarian Universalism and the impact of Foothills as widely as possible to all who could benefit from it. Casting a vision is just the first step. Over the next 9 months, we will be in dialogue with the ministers and the congregation about these vision statements. You, the congregation, through your involvement in the various committees, teams, and ministries that do the work of this church, will discuss what excites you and what challenges you about each of these statements, and what’s the work we would need to do to make this real. You’ll tell us how you think progress could be measured in achieving each of them, so that we can turn to another part of our work as a future-oriented board — monitoring the progress we are making in living into our mission and vision. There will be a congregational survey to gather a baseline assessment of where we think we are on each of these goals. In the fall, the board and the ministry will return to the congregation with a formal report that finalizes our interpretation of these vision statements and how we will monitor progress in each of them. At this point, we should have a clear 1-2 year action plan and monitoring strategies. Each year thereafter, the ministries and the staff team will provide a new interpretation of the vision statements and a monitoring proposal for the year ahead. Finishing up this governance overhaul may sound boring compared to the many exciting things we do here at Foothills, but we believe it will have truly profound impacts on our congregation and the larger world. “If someone had told me twenty years ago that the most exciting, most inspiring aspect of my ministry had to do with governance, I would have laughed in their faces. But the truth of the matter is that when we are able to align our decision-making, align the way in which we operate with our covenantal theology, leadership is liberated. Lay leadership is strengthened, ministerial leadership is liberated, and congregations can move forward in new and transforming ways.” — UU minister and consultant Rev. Rob Eller-Isaacs.